1. The counseling schedule/dates/venue for admissions into 1st Year Degree/Semester wise Courses will be announced/published in TTWREI Society Website http://tgtwgurukulam.telangana.gov.in. 1. 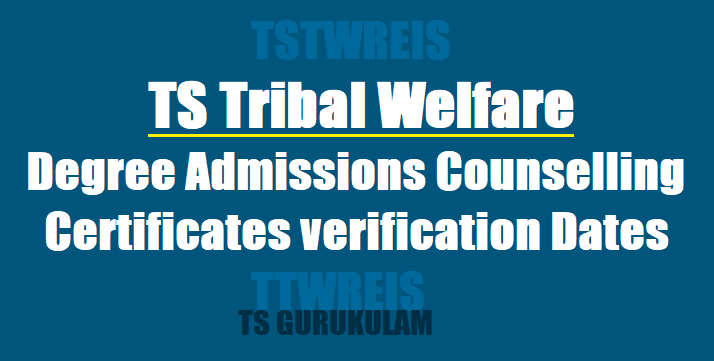 Applicants shall also fulfill other admission criteria stipulated by TTWREI Society, Hyderabad. 2. The Society reserves the right to change the rules of admissions as per the directions of the Government and University from time to time.